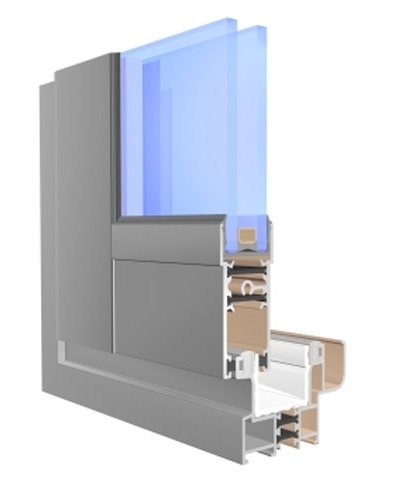 Sliding system with increased thermal insulation. It is an ideal system in commercial buildings that require open spaces. Thanks to its parameters, the Ultraglide system allows you to design structures with very large dimensions of drive wings. This system is most often used as the construction of terraces, verandas, winter gardens or patios. 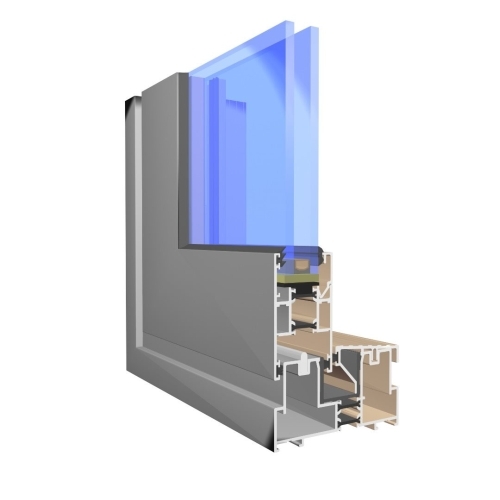 - thermal insulation: thermal insert with widths 22 mm and 28 mm enriched with the addition of fiberglass. Sliding door system thermally insulated. All profiles of this system are three-chamber. Frame width: 99mm or 155mm, leaf width: 43mm. The use of two- and three-piece rails, on which the wings move, allows the opening of large spaces. Placing trucks under moving parts eliminates the danger of door hanging. Possibility of using fillings from 4 to 29mm. Possible combinations of two, three, four and six elements based on a two or three-frame rails. The MB-77HS system belongs to the products with the best parameters and meets all the requirements for this group of products. It has two different thermal insulation variants: ST and HI. 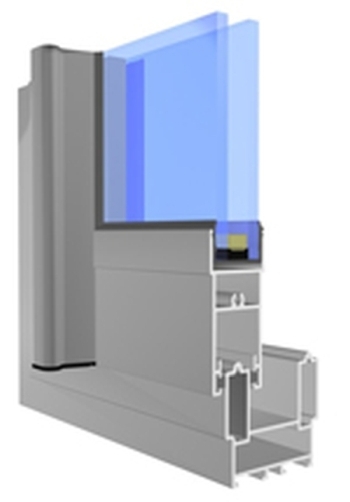 The construction of profiles allows for the performance of exclusive doors with large dimensions, filled with one- or two-chamber glass, and the materials and technical solutions used help to achieve a high degree of thermal and acoustic protection. Thanks to its properties, this system is perfect both in single-family buildings and in comfortable apartments or hotels. - a wide range of colors that allows the arrangement of doors in any and independent interior design, both external and internal. Sliding door system thermally insulated. Three-chamber door frame profile, one-chamber wing (the flat outer and inner part is joined by a thermal break). The frames come in two versions: with extruded track and a separate profile, on which the trolleys roll, fastened in the lower parts of the wings. Vertical wing profiles occur with a contoured handrail at the entire height of the wing. The filling of the fillings takes place at the stage of mounting the sash, in the notches of the C-shaped sashes without glass strips, on the gasket surrounding the filling. The filling thicknesses are 6 - 9 mm and 20 - 24 mm. The wing corners are joined by twisting, the frames can be twisted or crimped. 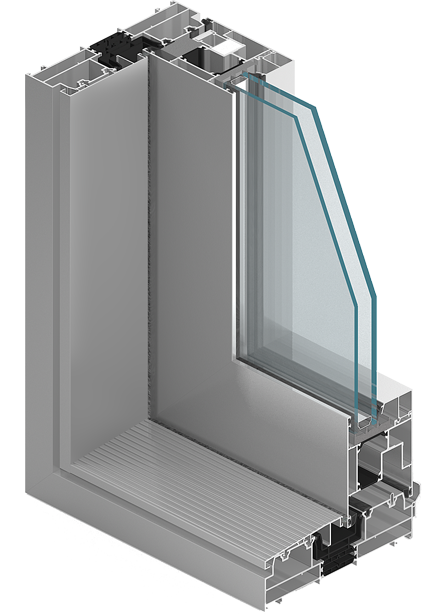 Due to its properties, Slide Plus is a very popular system in the west and south of Europe. - 2-, 3-, 4- and 6-sliding sliding doors. Internal sliding door system. The profiles used do not have thermal insulation. The sliding sash carts are mounted in the lower part of them. 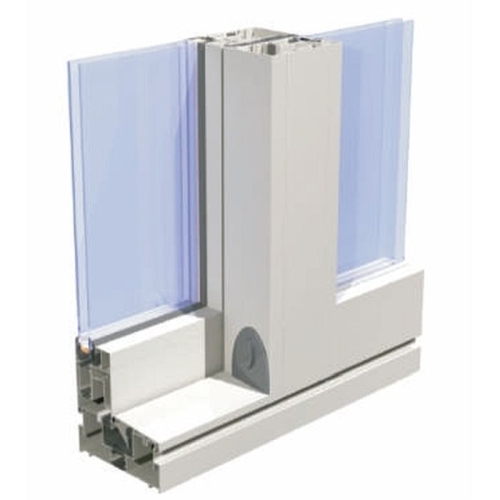 In this system it is possible to use double-wall (51/59 mm) or three-frame (99 / 103.5 mm) frames. Each frame is available in two versions: it is a contoured ridge, on which trolleys or frame and additional stainless steel rails are rolling. There is also a monorail designed for doors, in which the wing extends to the wall. The filling thicknesses 6 - 9 mm and 20 - 24 mm are possible.